Hey everyone! Today I wanted to share with you my favorite of the three Urban Decay limited edition palettes. I already reviewed the Fun Palette and Feminine Palette, which have the same zip-around compact format, but the Dangerous Palette is the one that I think hits it out of the park. 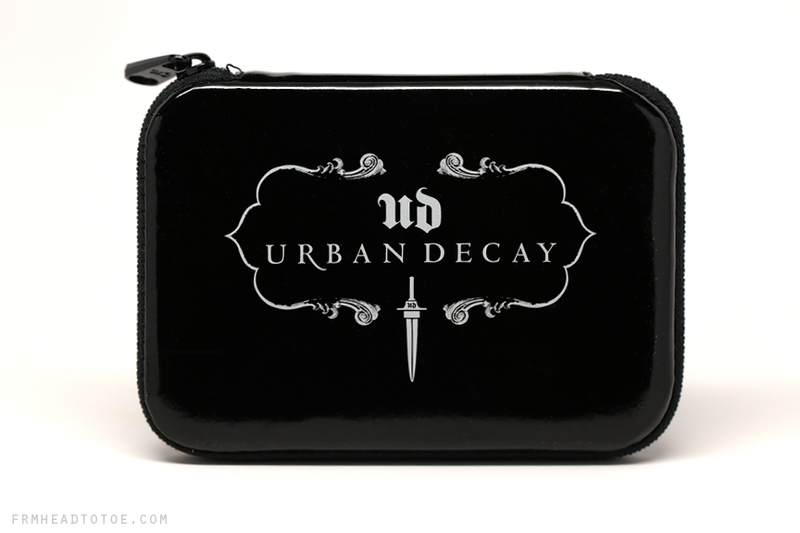 This palette comes in a black vinyl case with a simple print on the front displaying the iconic Urban Decay dagger. It also has a black zipper as well, which adds to the overall gothic look. By first glance, this is the least interesting of the three palettes and it also holds dust and finger prints. BUT, and this is a big but (and who doesn't like big butts?) it's what's on the inside that counts and when Urban Decay makes it count, boy do they make it count! Each shadow is 0.03 oz (compared to UD's full-sized shadows at 0.05 oz) while the adorable mini gloss is 0.11 oz (compared to full-sized Lip Junkie at 0.34 oz). 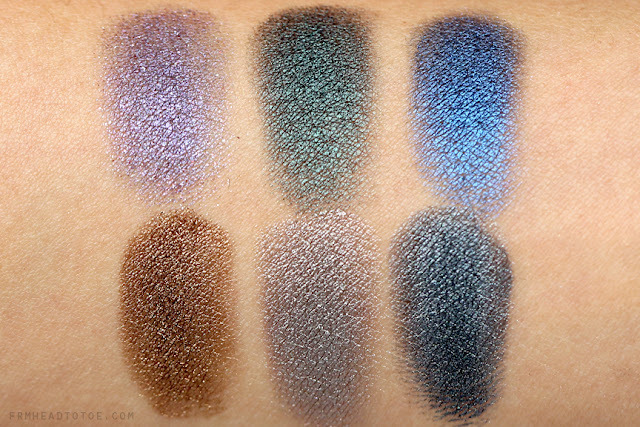 Gravity (purple) isn't the smoothest because of the micro-shimmers and Evidence (navy) needs to be built up to look spectacularly glowing, but wowee is this ever an awesome smokey palette! As you may remember, Loaded was in my "build your own palette" for Urban Decay (check that out plus my visit to Urban Decay HQ here) and if I had 7 spots I could fill, the 7th would have gone to Mushroom. Evidence, Deeper and Ace you may remember from the much-beloved 15th Anniversary Palette (my review) from last year. There's no highlight shade included like the other sets, but this is definitely a palette that I would add to my travel makeup bag in a heartbeat! 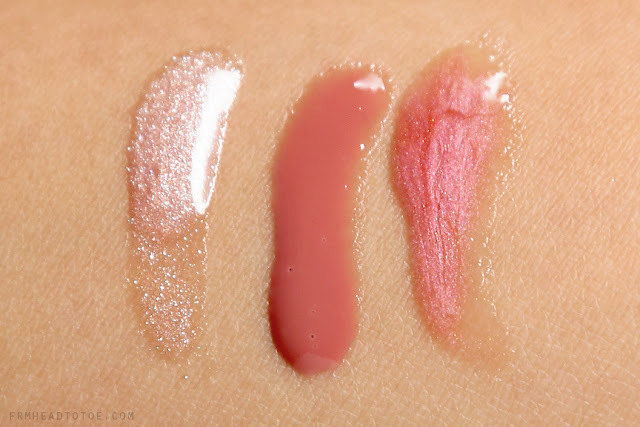 Naked Lip Junkie (far right) is a rosy-pink shimmer gloss and is the same gloss you get with the Naked 2 palette (my review). Again, it's not anything Earth-shattering but on me it's a MLBB or "my lips but better" color that can be worn everyday. The color is universally flattering and I've found the mini tube to be great for throwing in those tiny cross-body bags since it does't take up much space and matches everything. Lip Junkies in general have an emollient, medium-sticky formula with a strong minty scent and cooling sensation. If interested you can purchase the full-sized Lip Junkie lipglosses here for $19. If you are in the market for a compact smokey palette, this definitely comes with a high recommendation. I could see myself creating a variety of smokey eye looks just with this palette alone! The Dangerous Palette is available now for $36 at Sephora, Ulta, and beauty.com. Hope you guys enjoyed this review! If you are interested, here is my review of the Fun Palette and Feminine Palette as well. Readers, will you be picking up this palette? 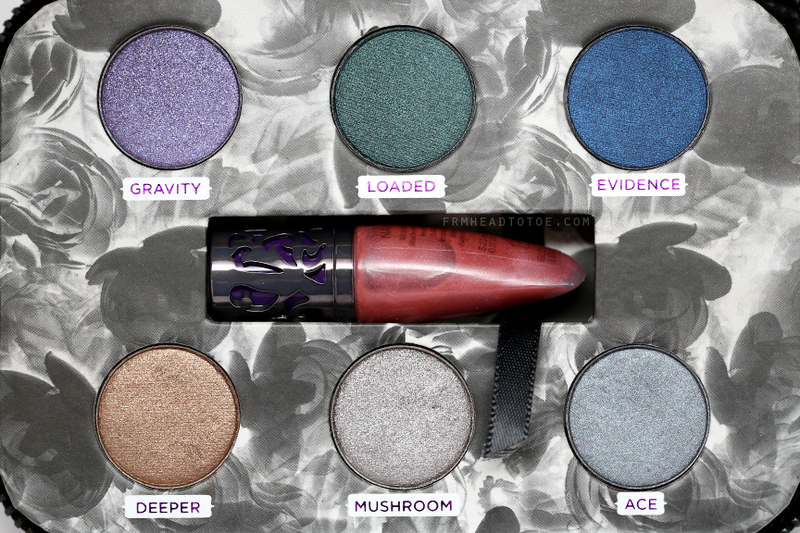 What do you think of Urban Decay eyeshadows? Let me know in the comments! Definitely the sexiest of the three. Thanks for doing all of these reviews, Jen! Are you planning to do any tutorials with them? can you do a tutorial using Deep End from the fun palette? I miss your non neutral tutorials like the ones with yellow, orange, blue, and green. I love how they're not your everyday colors but you make it so that they're very wearable! Love the palette, and thanx for the review! very pretty colors! but I'm trying to stay away from palettes, since I never can use them up. I'd love to see you do a tutorial. very cool! I'd love to see a tutorial on these. I'm a huge cheapie, so if I splurge on a UD it's going to be one of the Nakeds instead. I now have that Sir Mix-A-Lot song in my head when you mentioned "big buts" in your intro... LOL! Thank you for the honest, detailed review! Really pigmented, looks very pretty! Just wanted to let you know that we in cluded this post in Glam's Best of the Beauty Blogs this week. Keep up the great work! Awesome review!! Will definitely be on my Christmas wishlist this year :) speaking of, how about a holiday party smokey eye tutorial with some of the colors in this palette? i really like the vibrant metallic colors of the eyeshadow palette! This is my first time reading your blog and so far I'm loving it. I do think I've seen your YT videos before, though! This palette looks awesome and I can't wait to read more from you. Wow, those colors are Amazing! I love the entire color combo. How To Enhance Monolid Eyes!